Does new technology in accounting wipe out the old? Quite a tough question above I guess. I have always been interested in what technology can do for business – both as a management accountant and academic. It is probably fair to say that the past decade has so much more technological change than previous decades. We have seen smart phones, tablets, the cloud and social media all appear and take over our lives and change how business is done. 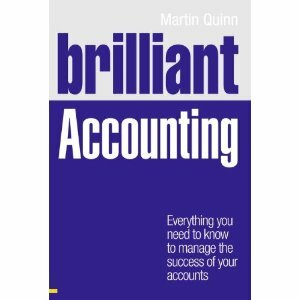 Personally, I am watching how accounting in small business is now potentially so much easier than ever before. For example, all a sole trader needs is a smart phone and they can issues invoices, records expense and even get paid. I would hope that over time this will become a reality. However, at the same time I am quite aware that it will be while before we see small businesses not having some manual recording. I have also recently become a little interesting in accounting history. It has been commonly accepted that symbols used on clay tablets used by traders in ancient Mesopotamia were a precursor to modern writing. 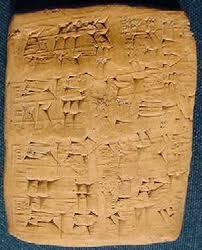 These clay tablets were in effect what we call invoices or delivery notes today. One would imagine that writing would help simplify business of the ancient Mesopotamians, and replace the symbols on the tablets. Recent archaeological finds in Turkey however suggest otherwise. It would seem the tablets and symbols survived for many centuries after paper and writing were in common use. So I wonder will it a few centuries before small businesses take advantage of the present day accounting technology ? Incidentally, it seems tablets (but not clay ones) are probably a very simple way to manage small business accounting.